Breathe make it easy to streamline your workflow with external systems and applications. 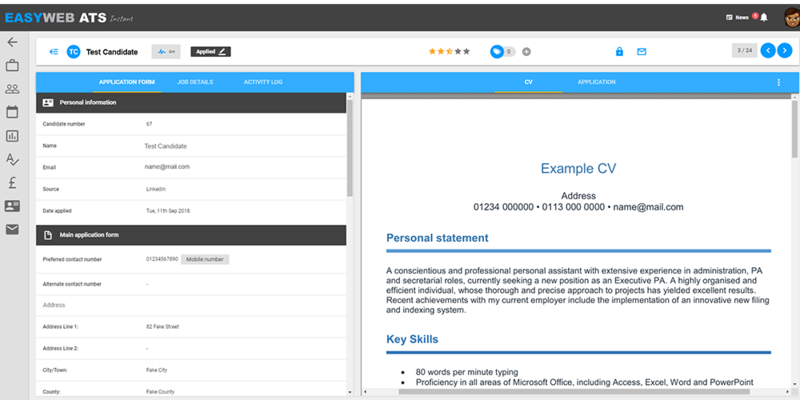 Either streamline data from databases using our HR software integration tool or use our API to develop unique solutions to suit your company. Smooth workflow and easy data access from multiple systems is easy with Breathe integration. What is HR software integration? breathe’s data integration tool enables you to streamline business data in real time into a common format in one easily accessible place. Integrating data with breathe means you and your employees don’t waste time collating data, enabling you to concentrate on the analysis and forecasting crucial for business success. Breathe makes sure your databases can talk to one another. Breathe’s software integration streamlines data from Google Calendar, Rotacloud, Safety Cloud, WeThrive, Easyweb ATS, OrgChart Now and more. Transport and transform data into insight with breatheHR integration. Seamless and automatic data integration with Breathe and your calendar means you will never miss an important meeting or deadline. 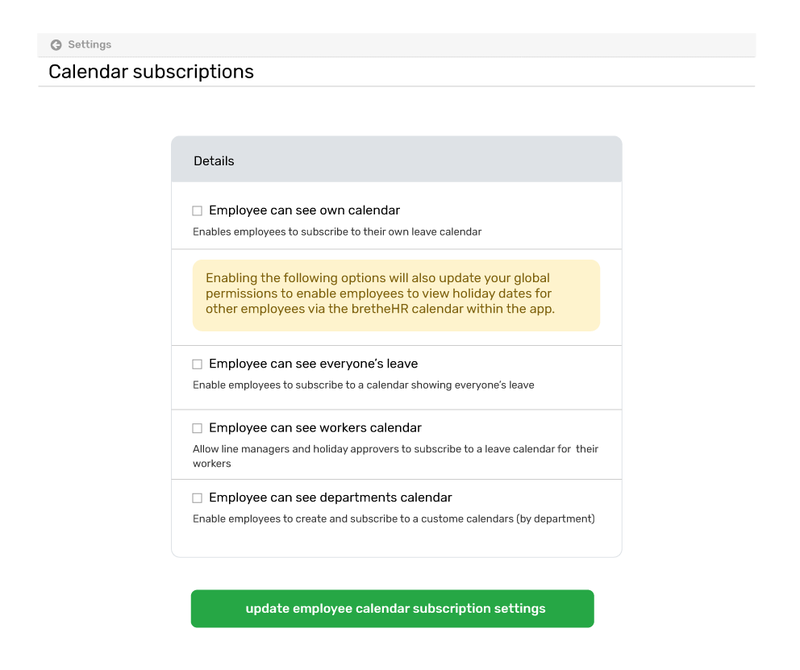 Keep your company’s external calendars updated in realtime using Breathe's simple calendar sync. Breathe integration makes it easy for teams that rely on Google Calendar, Apple Calendar or Microsoft Outlook in their daily operations. Included as standard with every plan. 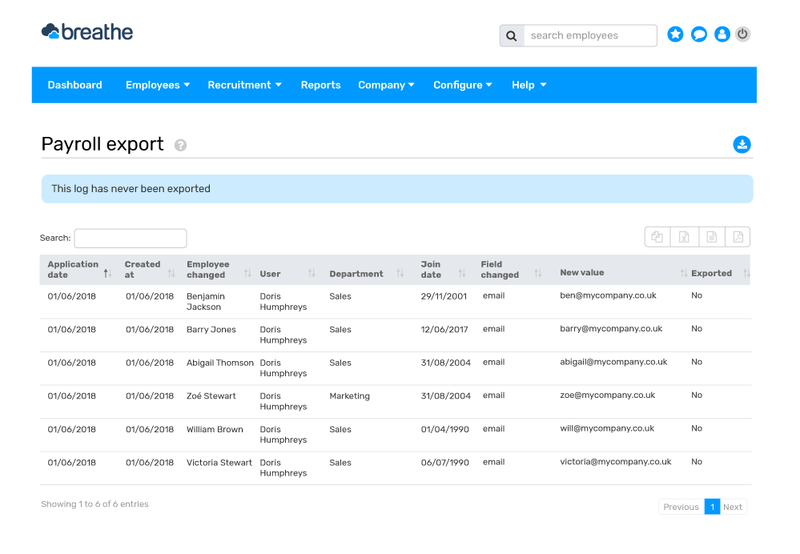 The payroll export reports on any pay-related changes to an employee profile including amended address, bank and salary details. 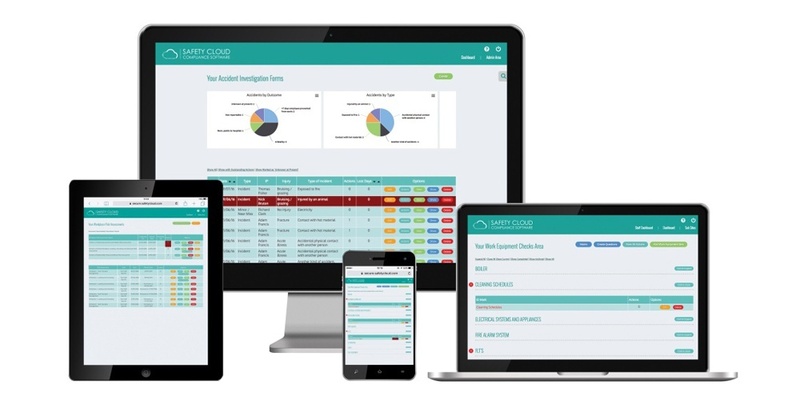 This is perfect for you to hand over to your payroll team and gives you all of the information you need to comply with RTI legislation. Breathe have teamed up with RotaCloud to bring you a solution to your rota scheduling nightmare. The intuitive and easy-to-use rota builder lets you add, edit and copy shifts to save you hours of tedious planning. Keep your employee data in sync between Breathe and Safety Cloud. 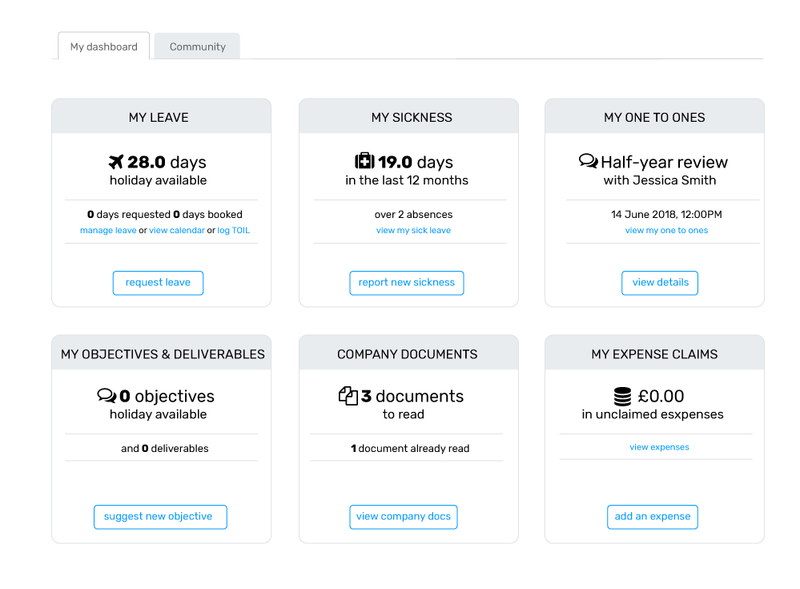 Add a new employee or change an existing employees record in Breathe and that change is instantly carried over to Safety Cloud. 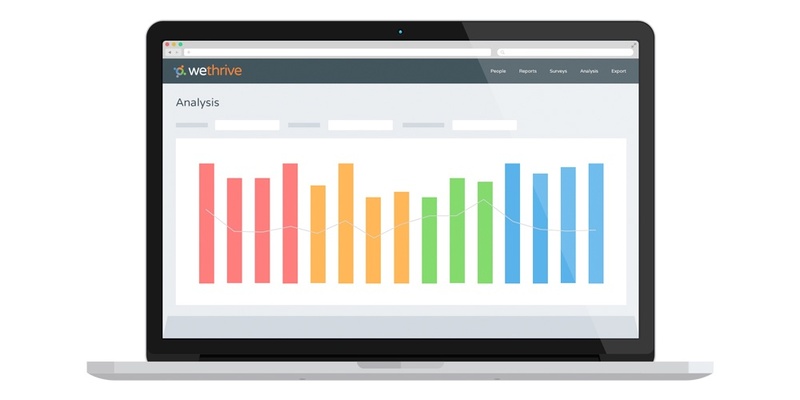 WeThrive's platform uncovers how employees truly feel, enabling managers to create highly effective teams, retain key staff for longer and deliver better business results. Our unique 4C model leverages the latest psychological understanding to quickly and easily deliver insights, actions and learning content to help your managers become better managers, creating a high-performance culture. When you accept a candidate in EasyWeb ATS for a position, they are automatically created as new starters within Breathe. Thanks to our partnership, Breathe users will receive a 25% discount off 1 year of their EasyWeb ATS subscription. Building your organisation charts is easy with OrgChart Now’s intuitive interface. With our integration tool, your employee data is pulled seamlessly from Breathe. With no rekeying, it only takes a couple of minutes to build. "Good customer service. Very friendly and helpful."